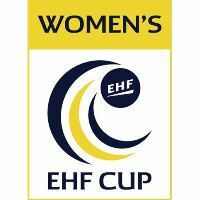 PREVIEW: Tertnes Bergen are already in the Last 16 of the Women's EHF Cup. The remaining 15 teams will be found over the next two weekends. As the only team, Tertnes from Bergen are already in the round of the Last 16 in the Women's EHF Cup, the reason being that the Norwegian team have already won their Round 3 tie against Union Mios Biganos-Begles without playing. Over the two upcoming weekends, the remaining 15 teams are going to be found, and the action starts Friday evening with two matches. In Hungary, Siofók KC are trying to copy their achievement from last season, when they reached the Last 16 of the Cup Winners' Cup. The obstacle, which the Danish coach Christian Dalmose's ladies will have to get past, come from Portugal. Alavarium/Love Tiles are visiting Siofók for a double-header, of which the first leg is taking place Friday evening, and the second leg is being played on Saturday evening. Another Friday match is taking place in the Sportcomplex “Zvezdniy” in Astrakhan, Russia. Here, the first leg of a double-header between Astrakhanochka and OFN Ionias from Greece is taking place. The return match is being played at the same venue Saturday afternoon. Last season, Dinamo-Sinara were in the Women's EHF Champions League, in which they reached the Women's EHF FINAL4, where they finished fourth. This season, it is the EHF Cup for the Russian team, who are travelling to the Czech Republic for a double header this weekend. Their opponents will be DHK Banik Most, who will make the attempt to reach the Last 16, like they did in this tournament two years ago. The first match in the Sportovni hala Banik Most is taking place Sunday evening, the second leg 24 hours later. Pogon Baltica Szczecin reached the final of the Challenge Cup last season. So far, the Polish club has reached Round 3 of the EHF Cup this season, and here they take on ASC Corona 2010 Brasov for a double-header on home court Saturday and Sunday. The Romanian visitors have a Last 16 berth from last season to live up to. Randers HK, who won the EHF Cup in the 2009/10 season, are chasing renewed European success this season. The Danish team, who reached the main round of the EHF Champions League three years ago, are taking on Success Schoonmaak/VOC Amsterdam, to whom Round 3 of the competition has meant the end the previous two years. The first leg is being played in the Arena Randers Saturday night, before the Dutch club has the home advantage a week later.